Are you thinking of having a retaining wall built on your property? Although landscaping retaining walls can dramatically improve the appearance of your property, it’s important to have the job done by skilled professionals. 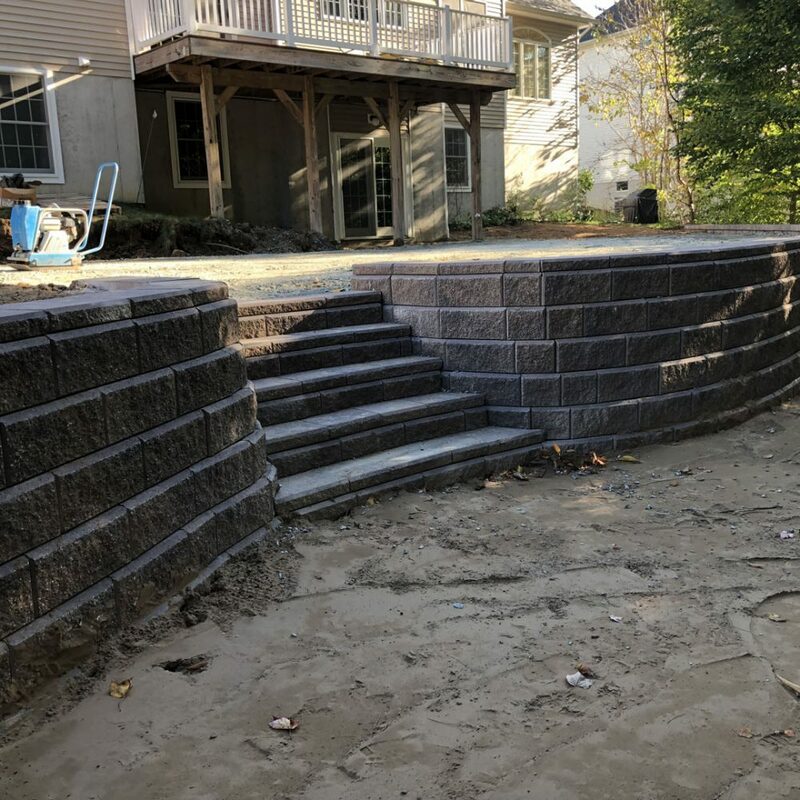 To make sure your retaining wall systems are well constructed and built to last, turn to our experienced craftsmen at JNR Construction & Excavation Group Inc. With 20 years in the business and a strong commitment to customer satisfaction, you can count on us for some of the best workmanship and value in the Albany area. For a free, no-obligation estimate, call or e-mail us today! As a local, family-owned and -operated business, we take pride in the quality of our retaining wall systems and our ability to handle projects of any size. Our objective is to fully understand your needs, work within your budget, and provide you with superior service from start to finish. Whether you’re interested in a garden retaining wall or other types of landscaping retaining walls, we have the equipment, tools, and know-how to provide you with professional work that will stand the test of time. When you choose JNR Construction & Excavation Group Inc. as your retaining wall contractors, you get workmanship you can rely on and customer service that guarantees your satisfaction. One of the things that makes JNR Construction & Excavation Group Inc. stand out among other retaining wall contractors in the Albany area is that we don’t make you choose between quality and competitive pricing; we provide both. We also take the time to fully understand your goals and deliver a finished product that will exceed your expectations. If you’re interested in a retainer wall for your home or business, we’d be happy to meet with you to discuss design options, building materials, and turnaround time. Call us today for a free estimate and more details! Retaining wall systems can accomplish objectives ranging from landscape design to soil erosion control. Based on the scope of the project, the existing design of your property, and the effect you’d like to achieve, our experienced craftsmen will work with you to create the ideal landscape or garden retaining wall for your space. Whether you know exactly what you want or you need professional advice to refine your ideas, we have the expertise to provide all the help you require. From retainer wall systems to complete site development, our professionalism and commitment to quality is reflected in everything we do!